For those of you who think I exaggerate when I tell stories of Dan's meal-making escapades - well, today, I present to you..."breakfast, for his sons, by Dan Berryman." I'm not sure how many donuts Michael managed to scarf down. Or how many Cokes he washed them down with. 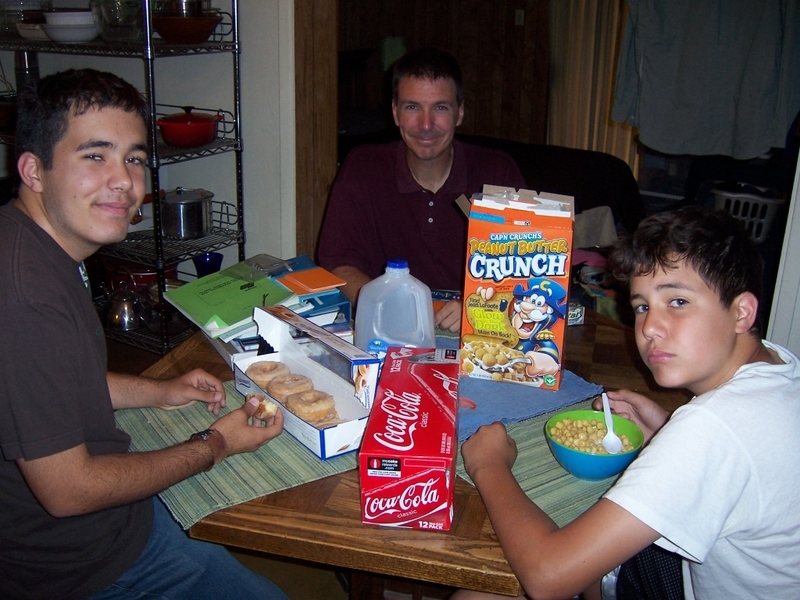 I think Steven had at least 2 bowls of cereal and at least 1 coke. Not sure if he had any donuts. At least they're all happy - right?? ?